Congress & Drug Industry Derail War on Opioids! 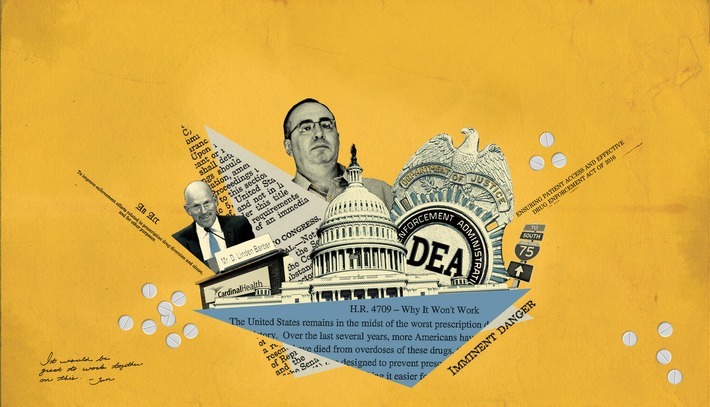 [From www.washingtonpost.com] In April 2016, at the height of the deadliest drug epidemic in U.S. history, Congress effectively stripped the Drug Enforcement Administration of its most potent weapon against large drug companies suspected of spilling prescription narcotics onto the nation’s streets. ExL Events invites you to download the brochure for the 6th Content Marketing for Life Sciences Conference, taking place December 6 – 7 in Philadelphia. This year’s conference will expand on the integrated customer experience, along with an optimal way to create and distribute content across multiple channels. To see how we have developed the conference, download the brochure now. After conducting comprehensive research, we’ve created a program that ensures that you leave with insights to implement when you return to the office, as well as digestible strategies that you can use to help improve your marketing campaigns. This is a must-attend conference, so be sure to reserve your seat today! Register and save $200 by booking before October 27, 2017. Be sure to mention Discount Code C920PMN to increase your savings. [From www.npr.org] Lori Wallace is dying of breast cancer. 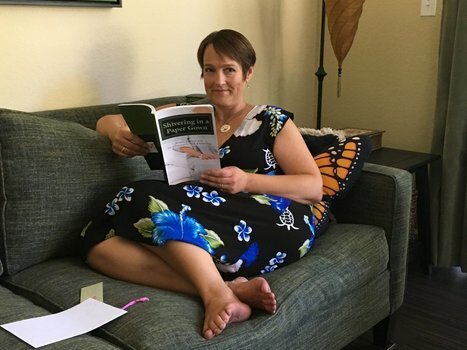 As Wallace’s cancer has progressed over the past seven years, she has become more critical of what she sees as excessive positivity in health care marketing. It’s everywhere: TV ads, radio commercials, billboards. The advertisements feature happy, healed patients and tell stories of miraculous recoveries. The messages are optimistic, about people beating steep odds. Wallace says the ads spread false hope, and for a patient like her, they are a slap in the face. There is a similar kind of optimism at the heart of a lot of the ad campaigns by health care providers – with slogans like “Thrive” and “Smile Out.” Wallace says the subtext of the ads is that people like her – who get sick and will die – maybe just aren’t being positive enough. Hospitals are spending more than ever on advertising.., and, as with other products, that advertising is filled with lots of promises. He says you don’t see the same promises in the pharmaceutical industry. Their ads are regulated by the Food and Drug Administration, which is why they have to list all those side effects and show scientific backing for their claims. Lori Wallace is not going to live forever. Before cancer, she says, she would have been attracted to the messages of hope. But now, she says, she needs realism – acceptance of both the world’s beauty and its harshness. She wrote an essay about that for the women in her breast cancer support group. [From www.fiercepharma.com] Belsomra’s furry word creatures have officially retired. Merck & Co.’s “sleep” cat and “wake” dog in the insomnia drug’s first wave of TV ads are giving way to a new empathy-oriented campaign that builds on sleepless patients’ personal frustrations. In a new TV ad begun last week, a woman turns off her television, shuts the curtains, dims the lights and turns off her phone before lying down to sleep. But one by one, the devices turn themselves back on to keep her awake. Next articlePinUp: Who’s to Blame for the Opioid Epidemic? “Not Me! It’s You!” Says “Drug Industry”.